ImseVimse takes the next step in the US. Green Team Distribution is the exclusive distributor for North America. Green Team Distribution will be stocking the whole range of ImseVimse products, and will be able to deliver from mid August. Please contact Green Team Distribution at www.greenteamdistribution.com for more information. High quality cloth diapers in three different systems; One Size, All in One and 2-part system followed by training pants for the potty training period. 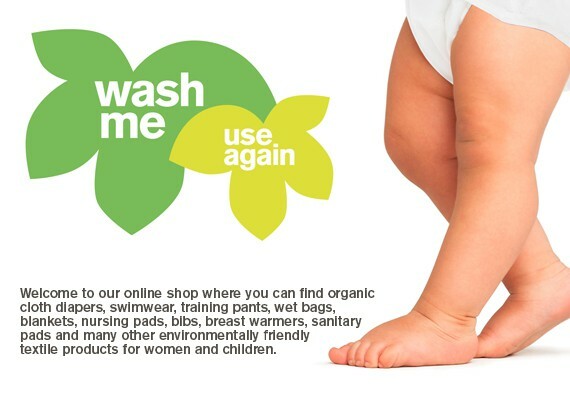 Well fitted for the baby and made in Europe, we have the cloth diapers of all preferred styles. – The best possible start for the baby and his or her skin. Our assortment of beautiful baby blankets, soft bibs, flannel wipes and other textile products for the care of the baby. Always in organic material and made with love in Europe. The expertise that we have achieved from over 25 years of manufacturing cloth diapers, we used also for the small ones going to the pool or beach. Perfectly fitted swim diapers and shoes with non-slip soles. For the nursing mother we offer reusable hygiene products such as sanitary pads and nursing pads in different shapes to give warmth and protect from leaking. – An opportunity for Mom to take more care of herself and the environment at the same time. During the coming fall and winter we will present new products as well as designs. Look out for the coming News! We look forward to welcoming old and new customers to ImseVimse and Green Team Distribution. This entry was posted in Blog and tagged baby products, cloth diapers, Diaper, Distribution, imse vimse, new products, real diapers, Retail, Wholesale. Bookmark the permalink.